The MH model is a medium‑duty hoist operator, as manufactured by The Chamberlain Group. 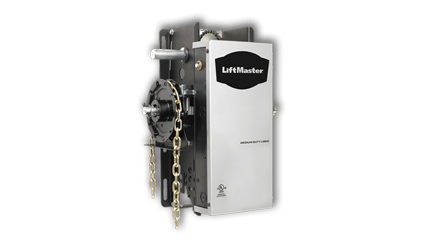 and is for use on vertical or high lift sectional doors or small rolling doors and grilles. It is rated for 12 cycles per hour during peak periods up to 50 cycles / day. 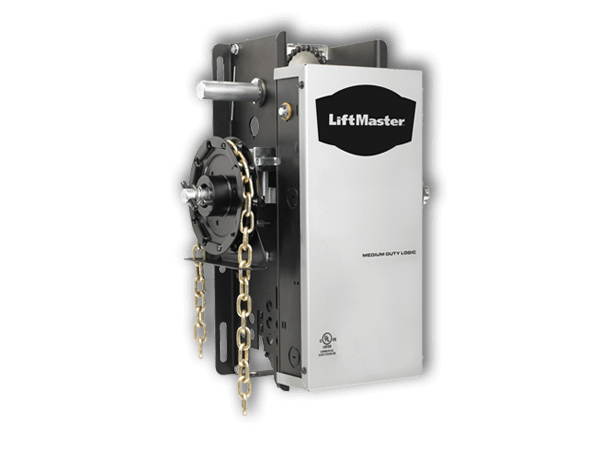 Provides emergency manual operation using an electrically interlocked floor level disconnect and chain hoist mechanism.